The Scion iA not really Scion. 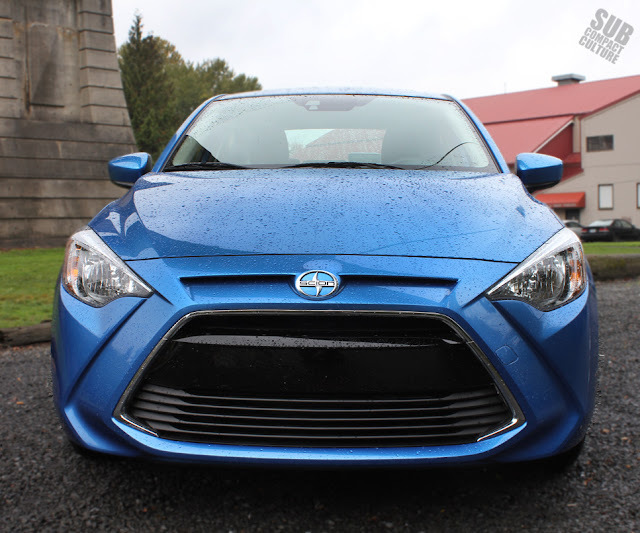 Well, it is, but it’s not a Toyota, which is Scion’s parent company. The iA is built in Mexico by Mazda, and is called the Mazda2 Sedan in most parts of the world. That is, unless you live in Canada, where it is called the Toyota Yaris Sedan. Don’t be confused. This is a Mazda wearing a Scion badge. Well, unless you’re in Canada. But really, this Scion/Toyota/Mazda mashup (“Sciotoyzda”?) is 100% Mazda. OK, make that 99% Mazda. See that snout, which resembles a gaping fish mouth? That is all Scion. 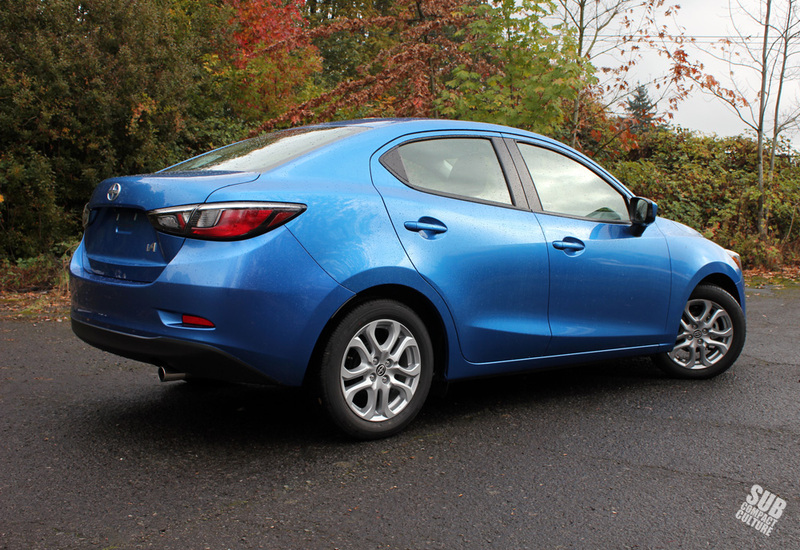 This prominent feature is really the only major difference between an iA and a Mazda2 sedan. Frankly, it’s a non-offensive looking vehicle, sans the aquatic front fascia and 16-inch alloy wheels that look like they were designed by Lego. It’s neither haute nor hideous. Daring, it isn’t. 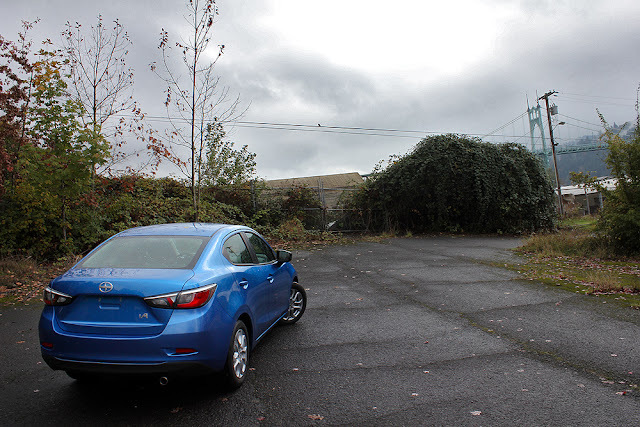 Then again, when was the last time you saw a daring subcompact sedan? Perhaps this is part of the conundrum. Who is going to buy this car? Who does this really appeal to? The subcompact sedan market isn’t exactly on fire, unless you’re Nissan and you’re moving a crazy amount of Versa sedans, which it does. In the fray, you've got the Chevrolet Sonic, Ford Fiesta, Hyundai Accent, and Kia Rio. And I don’t know about you, but I can’t remember seeing a sedan variant of any of these cars lately. But apparently Scion is going to take a chance on the segment ... in a sedan built by Mazda in Mexico. 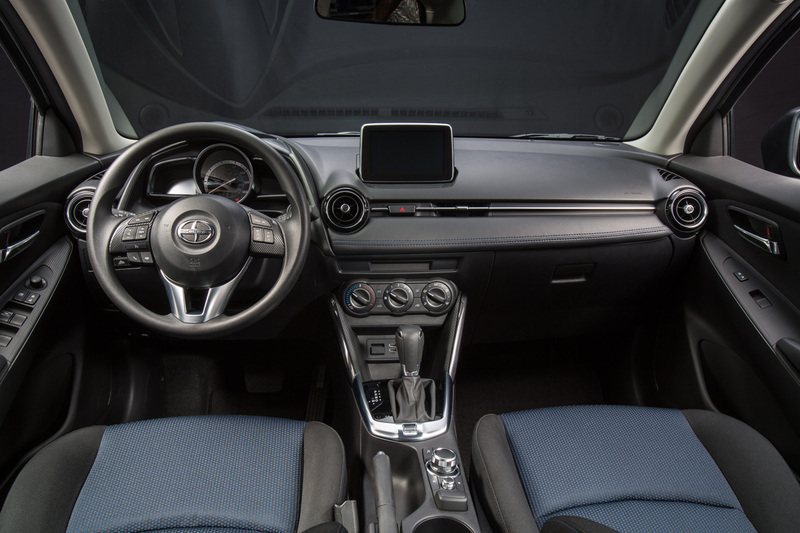 If you’ve been in the latest crop of Mazdas, you’ll recognize the iA’s interior, which looks like a ¾-scale Mazda3 all the way down to the infotainment system. Overall it feels solid and well-built, although we noticed the door panels seemed a bit thin. Ergonomics are good; everything is easily within reach, although the infotainment does take some getting used to. Why? Infotainment controls, located on the center console. 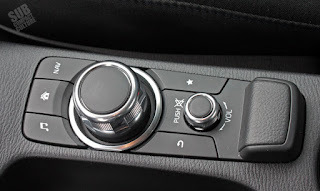 All infotainment is controlled via the large center knob on the armrest, and it does take some training not to reach for the dashboard to turn down the volume (there are steering wheel controls, too), but instead, go for the small volume knob. I must say that I love the interface once you get used to it. The seven-inch touchscreen monitor looks great and is easy to use. Navigation is available; our tester didn’t have it. The stereo sounds slightly above average, and the Bluetooth interface simple enough. The gauge cluster features an analog speedometer in the center, with a digital tachometer on the left, odometer and trip computer on the right. The seats are neither highly bolstered nor flat (nor heated), and the seating position feels a bit like you’re sitting too far back in the car. Perhaps it was because I was in the 2016 Smart ForTwo before this, but I felt like I could look over my left shoulder when changing lanes and look through the back passenger window. Maybe it’s just me. Overall I like the iA’s interior design feel, which is modern, solid, and totally Mazda. My biggest gripe is the back seat space, which is darn tight. Over 5’7” like I am? Then you might not want to sit here for too long. (The last Mazda2 was the same way.) The trunk is bigger than you might expect, and it should be able to gobble up luggage or groceries fairly easily. 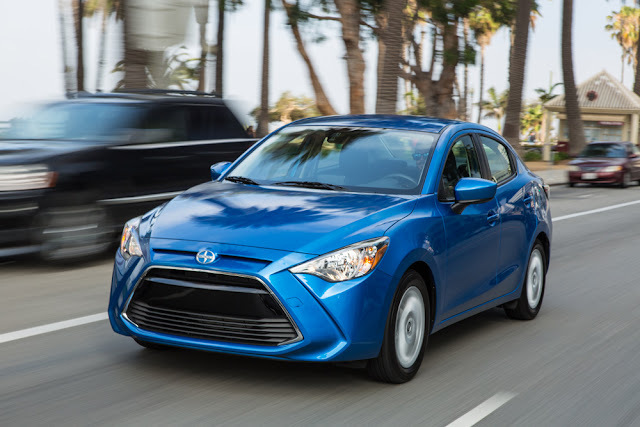 Like all Mazda-built vehicles, the Scion iA has great reflexes, especially when you let it stretch is legs. Er wheels. Er, whatever. The chassis—torsion beam rear suspension and all—is willing to perform when needed, and that attribute can turn this little sedan into a solid handler. I could see Scion entering into the SCCA B-class races with this little vehicle, and I bet it’d be a great little autocrosser. Body roll is well controlled and steering is quick and well weighted—a rarity in a subcompact sedan. The brakes were totally adequate and are composed of discs up front and drums out back. This bit of athleticism comes from the Mazda DNA and is the car’s best attribute. People looking for a driver’s car, take note. 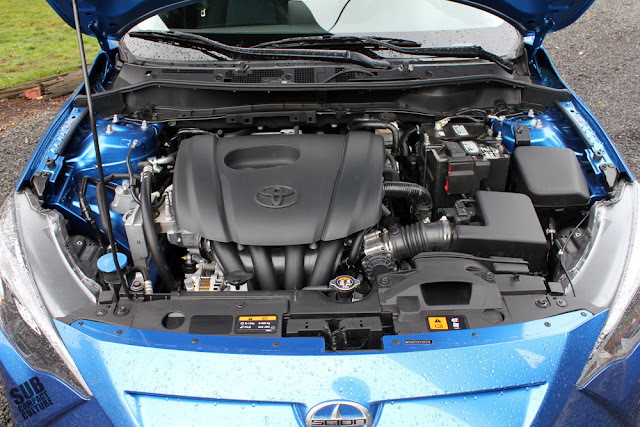 Despite the Toyota logo on the engine cover and Scion logo on the grille, this is a Mazda-built 1.5-liter engine. Under the hood is Mazda’s 1.5-liter DOHC 16-valve engine with direct injection making 106 horsepower and 103 lb/ft of torque put to the front wheels. Our tester was equipped with a six-speed automatic, although a six-speed manual is available. 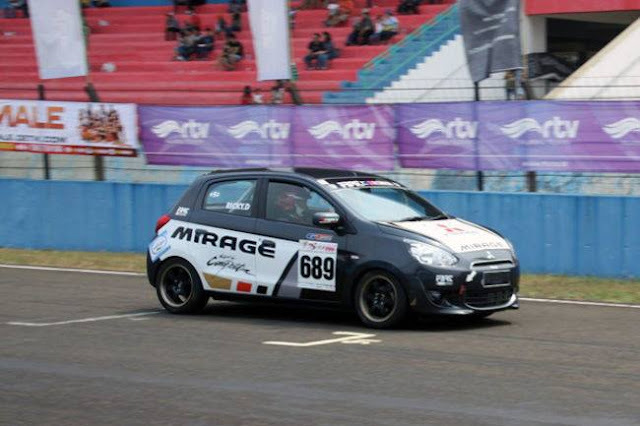 Power wise, the car favors the anemic side of the scale and foot-to-the-floor passing maneuvers were often needed. The engine makes a good bit of noise at wide open throttle, although the transmission feels competent without any weirdness, lag, or shaking. There is a sport mode that can be turned on at the flick of a switch, and I often used it when in traffic and it does helps. You can manually shift the transmission, if you’re so inclined, and since this is really a Mazda, you pull down to upshift—which is the way it should always be. 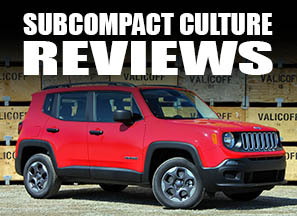 On the highway, the iA shows its modest underpinnings as it doesn’t ride as well as some other subcompacts we’ve reviewed. In addition, there is a good bit of road noise. Despite the racket, the car is frugal. I was able to get a solid 37 MPG combined with the iA, which is exactly what it's combined EPA fuel economy estimate is. The city rating is 33, the highway is 42 MPG. Yes, the car has standard cruise control, too so you can probably get fantastic mileage on longer road trips. Like most Scion models, the iA has a lot of standard equipment, including a low-speed pre-collision system (which we didn’t get to test, thankfully), integrated rear back-up camera, the trick infotainment system (with Bluetooth, Pandora and other apps), push-button start, and the manually adjustable driver’s seat. I would’ve like to have heated seats, and that doesn’t appear to be an option, either. So overall, the car has great athletic driving manners, despite being somewhat pokey. Its interior is comfortable, so long as you’re not in the back seat. Its styling is rather bland, with the exception of the slightly unsightly front fascia. So why buy this car? Scion has attempted to build its brand on unique, fun, affordable vehicles, but to me the iA just doesn’t feel like it belongs, and I don’t see the car being a big success, which Scion needs—at least from one of its cars. Again, who is buying subcompact sedans these days anyhow? 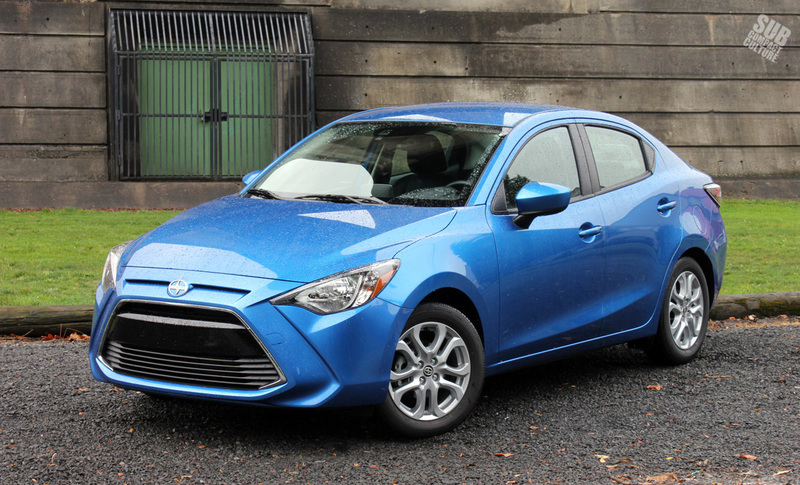 Our Scion iA has a sticker price of $17,595, which isn’t bad. After all, the loaded Toyota Yaris SE hatchback we recently tested stickered at $19,524, so this seems like a downright steal compared to that, plus it feels more modern. But again: Why no hatchback? There isn’t much to get excited about with the iA, despite its willing chassis and pleasing interior styling. Yes, it’s frugal, but there are plenty of fuel misers out there. But I suppose if you’re looking for a subcompact sedan wearing a Scion logo—even if it is built by Mazda in Mexico and sold at Toyota dealers—then this is your car. I have a 2017 Toyota Yaris IA and it's a great vehicle. 39 mpg on a 1300 mile road trip (I have a 6 speed manual). Got a deep discount for being one of the last 2017's in the lot and got it for $14600. The only complaint is that the seats are VERY narrow. I'm 5'8" and 160 lbs and my rear/upper legs barely fit in the seat. I can't imagine a heavier person sitting in this car. The side walls of the seat are very prominent and are extremely uncomfortable, other than that it's a great car. Traded in a 2014 Nissan Versa with extremely comfortable seats.